NATURINA is a new Italian company, founded with an important purpose: to feed dogs and cats through the exclusive use of natural food of the highest quality! A healthy and beautiful animal is the result of a genuine and proper diet. For this NATURINA selects only the best ingredients on the market that come from the most trusted suppliers to meet quality standards at the highest level, while ensuring functionality and safety of food throughout the food chain. This is why in its recipes, NATURINA undertakes to use prime Italian ingredients free of genetically modified substances (No GM). The sense of taste of our animals will not be submitted to foods that are not appetizing and attractive, NATURINA searches for only the best cuts of meat and fish, without any change in taste and substance through the use of chemicals and drugs and without the addition of synthetic colorings and preservatives. NATURINA has developed the NATURINA Bio Protection (NBP) system, a system of 100% natural protection through the use of specific foods defined Functional Foods (also known as nutraceuticals) or fresh or processed foods that have beneficial properties on health. A nutraceutical is a "functional food" or a health food that nutritional components associated with selected characteristics such as high digestibility and hypo-allergenic qualities, the healing properties of natural active ingredients extracted from plants with proven effectiveness. There are two categories of functional foods: a) foods that enhance a specific physiological function beyond their specific role in body growth and development. This type of food does not act as a cure to diseases or disease states. For example NATURINA uses carrots which contain a good amount of fiber, making it an excellent remedy for improving the intestine, being a natural anti diarrheal food helps to improve the consistency of stool; b) foods that reduce the risk of a disease. For example, recent studies have shown that the lycopene in tomatoes has strong antioxidant properties that prevent the onset of some cancers. To date NATURINA is the first and only petfood able to boast the use of Extra Virgin Olive Oil, with its distinctive flavor that gives its recipe a unique and unmistakable flavor. The use of virgin oil is part of a tradition for millennia in the Mediterranean, besides being an excellent source of essential fatty acids important for the prevention of certain diseases and food forms of eczema.The fatty acids are also used to stimulate the circulation of soluble vitamins; unsaturated fats play an important role in various life stages of man's best friends, in growth, to ensure proper development of the nervous system and skin, both in the adult, and in old age, when the protein level must be reduced and the integration with these substances is certainly advisable to make a fair and balanced energy contribution. In addition, essential fatty acids, along with Vitamin E, an antioxidant, more and more appreciated by veterinary nutritionists, because of extreme importance to prevent and heal damage from aging at the level of cell membranes. Oleic acid is a very effective antioxidant, and olive oil is its only food source. This is the philosophy of NATURINA, to associate scientific research and products commonly used for the Mediterranean diet in order to obtain a rich menu of genuine substances that improve the health of our 4-legged friends. With regard to nature, NATURINA not only pays attention to the organoleptic quality of the product but to all aspects of environmental sustainability represented by the use of recyclable materials and environmentally friendly used for packaging of the food product and for the subsidiary gifts . 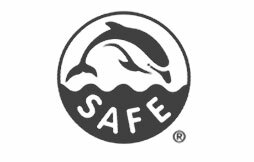 Respect for nature means more than just the people who live in it and why NATURINA openly fights the use of experimentation on animals, NATURINA products are not tested on animals (CRUELTY FREE), the fish used are caught offshore using methods to protect the marine ecosystem without harming dolphins (DOLPHIN SAFE).
" We at NATURINA want to do our part to protect the ecosystem ".